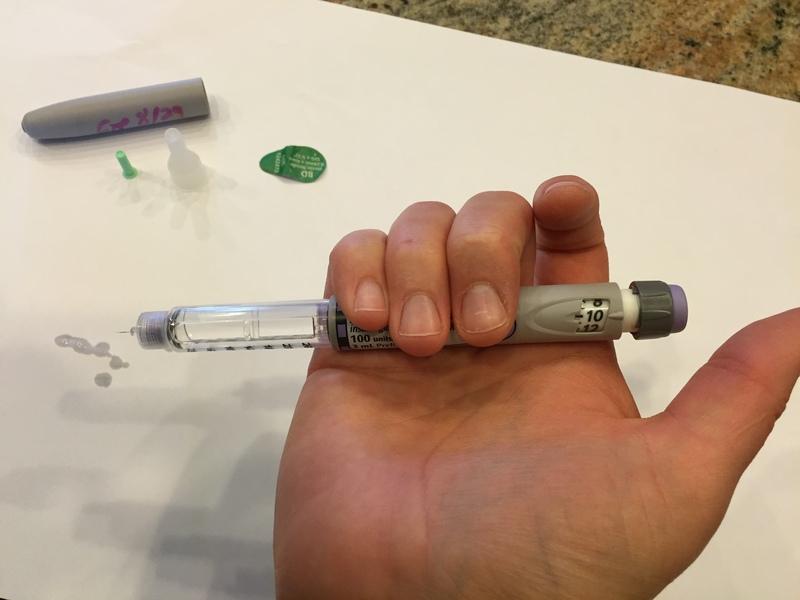 How to administer long lasting insulin via pen needle. 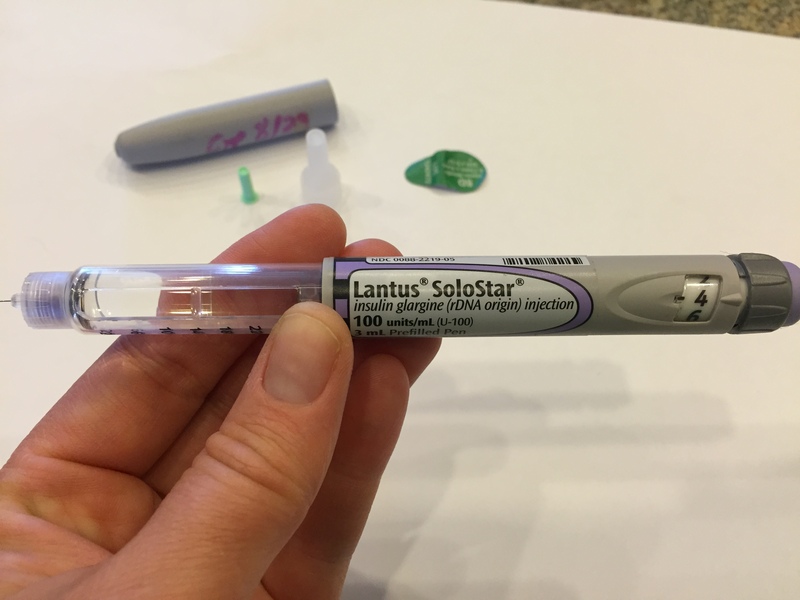 This long lasting insulin would give the type 1 diabetic the insulin they need throughout the day. This would not cover any carbohydrates eaten, unless excess was given. 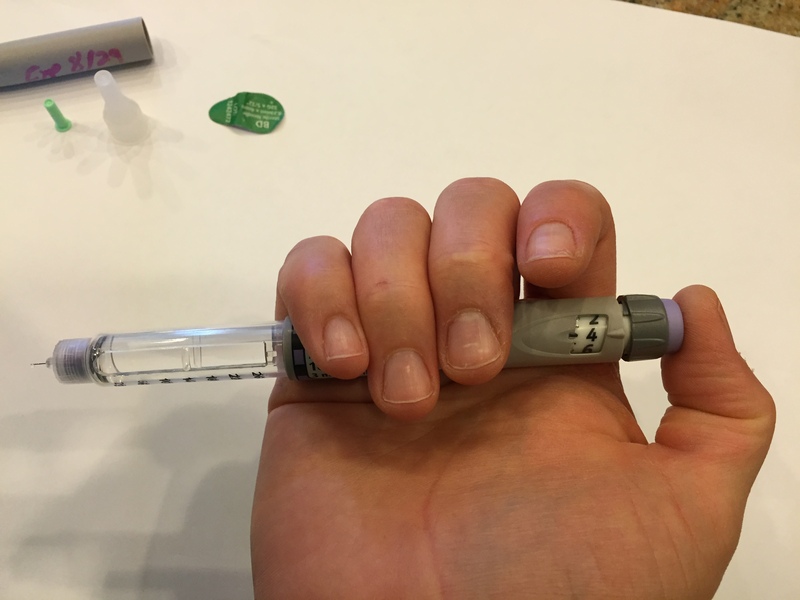 Long lasting insulin works for 19-22hours, so it needs to be administered each day the T1D is not on an insulin pump. 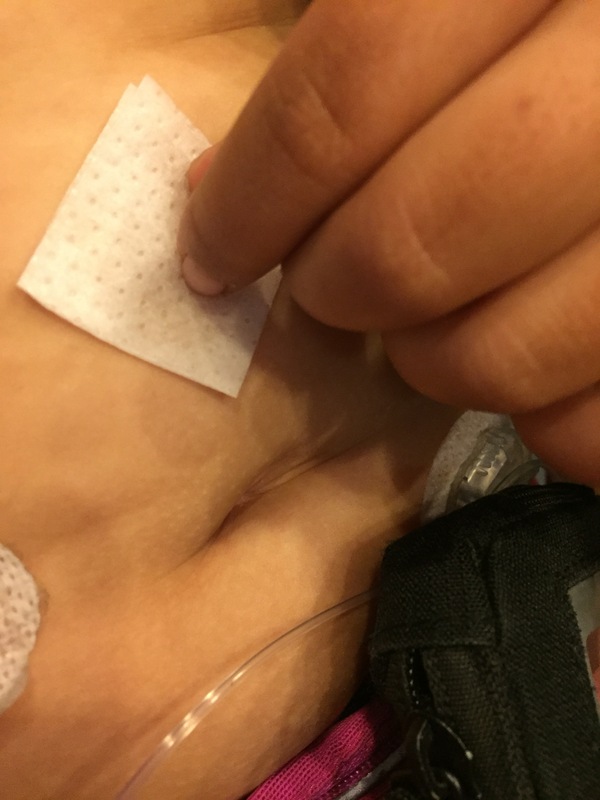 If the T1D is still on a pump, a temporary basal needs to be set. 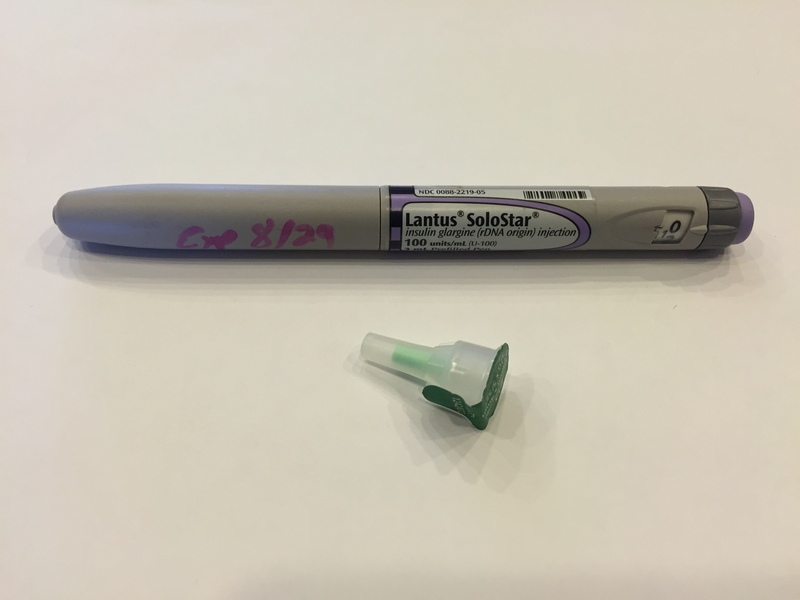 Step 2: Uncap the pen, and remove the covering from the needle attachment. Note: You can barely see the needle on the white plastic on the left, but it’s there. 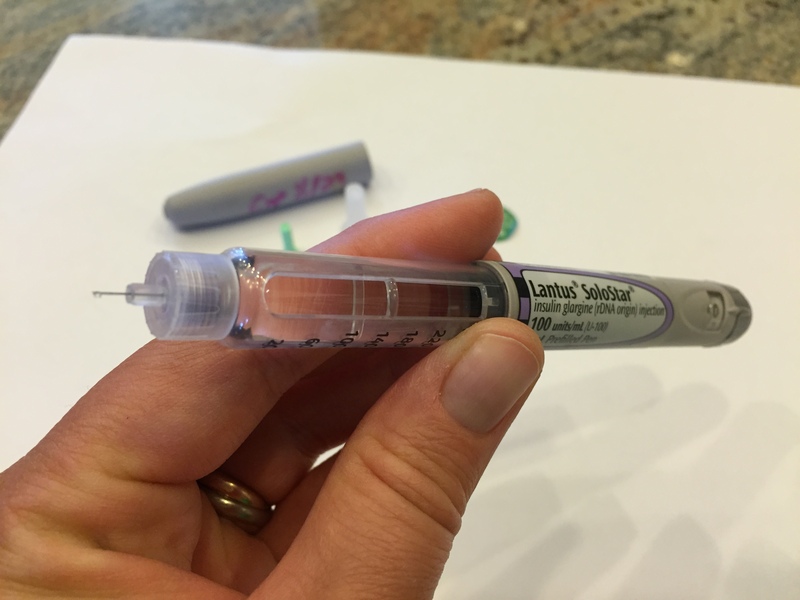 One needs to line up that needle with the grey rubber diaphragm on the pen. 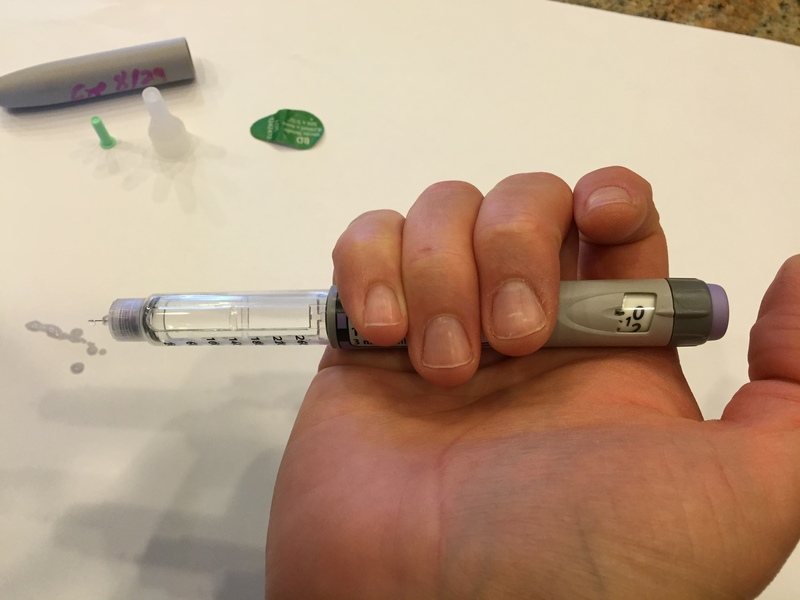 Step 3: Holding the needle totally straight, screw the pen into the needle tip until it’s tight. Step 4: Remove the plastic protector. It will require some force, but it pulls off straight. Do not twist as you’ll unscrew the needle from the pen. Step 5: Remove the small green needle protector. Again, just pull straight off. Step 6: One must prime the pen needle. To do this, twist the grey end at the opposite side to 4 units. 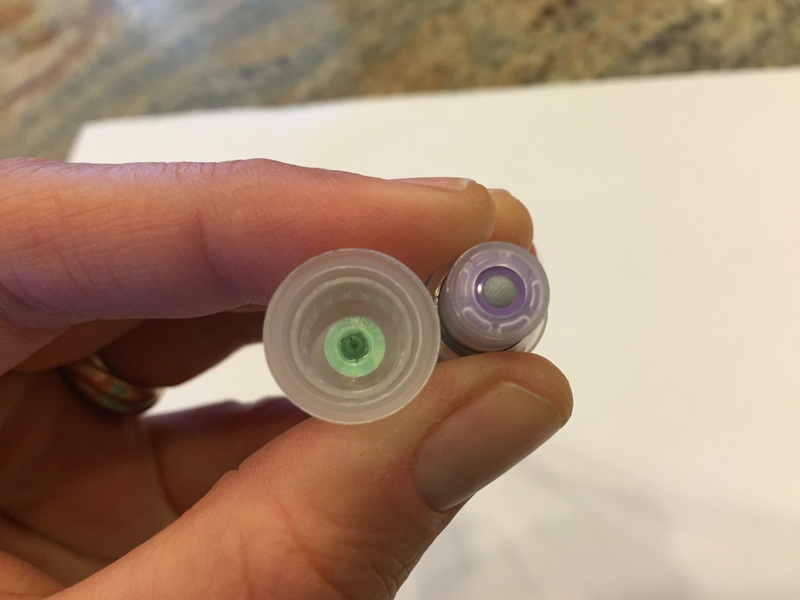 Step 7: Press the purple end cap to force insulin out of the end of the needle. 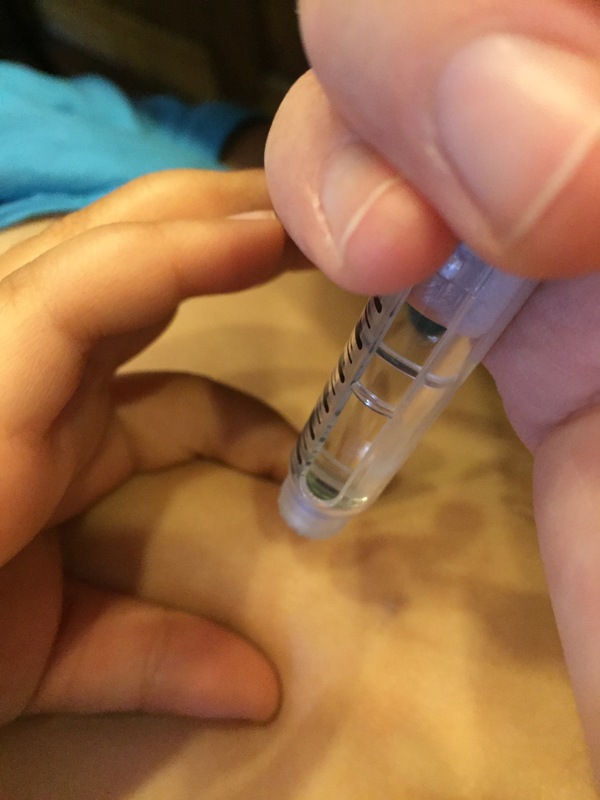 Step 8: Ensure that the number is back to 0, and that insulin came from the end of the needle. Step 9: Dial the units to the desired number. 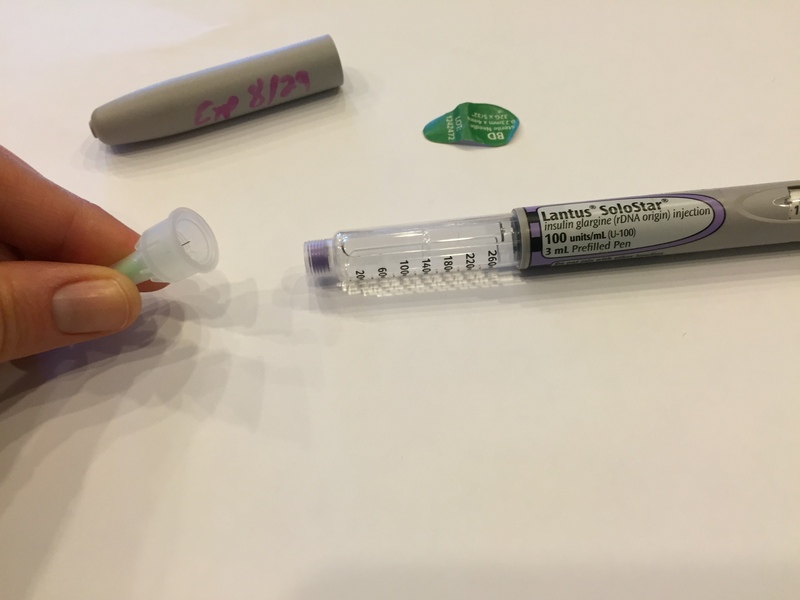 This will be the total amount of basal insulin the T1D gets per day. This information will be on the insulin pump. 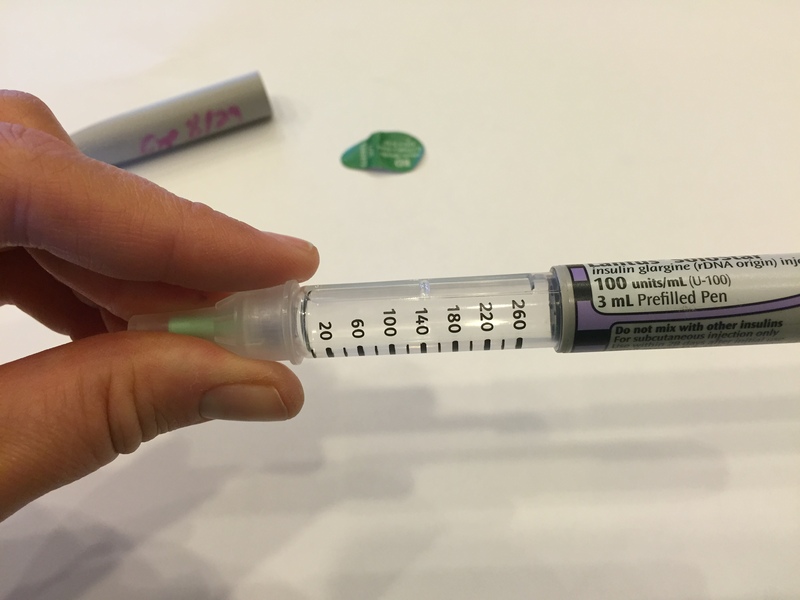 Step 10: Clean the area of injection with an alcohol wipe. Make sure the area selected is somewhat fatty. Step 11: Gently pinch the skin. 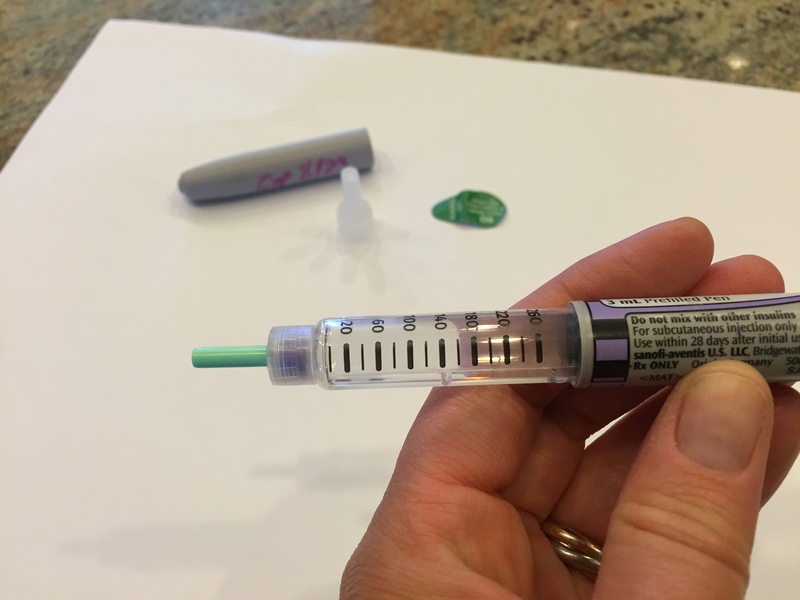 Step 12: With the skin pinched, insert the needle into the skin and with ones thumb, push the purple end down just the same as was done during priming. 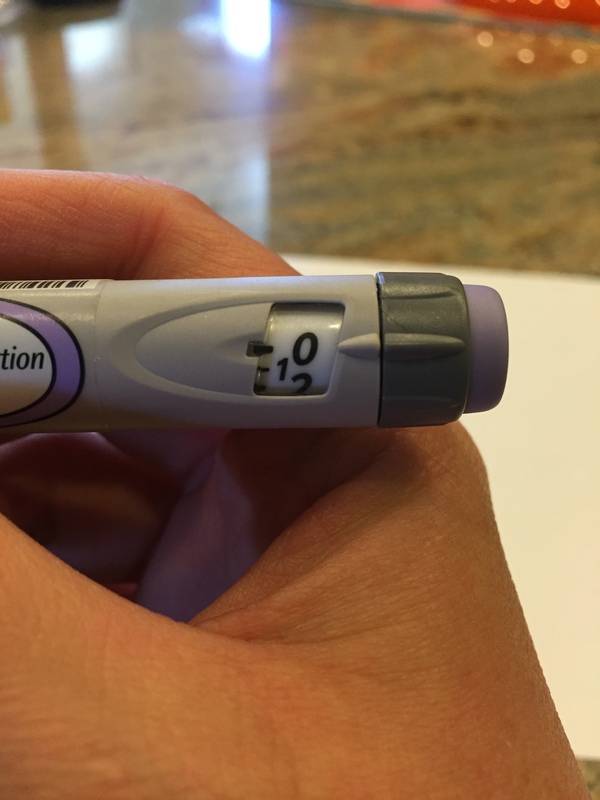 Step 13: Ensure that the dial is back to 0, as this indicates all insulin was given.